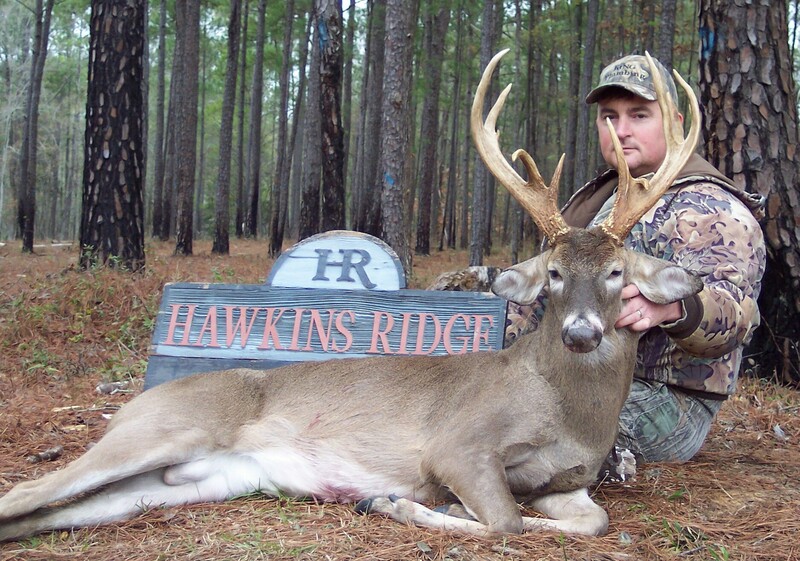 Hawkins Ridge Lodge has been in operation for more than 31 years managing under a strict managing program for trophy bucks. 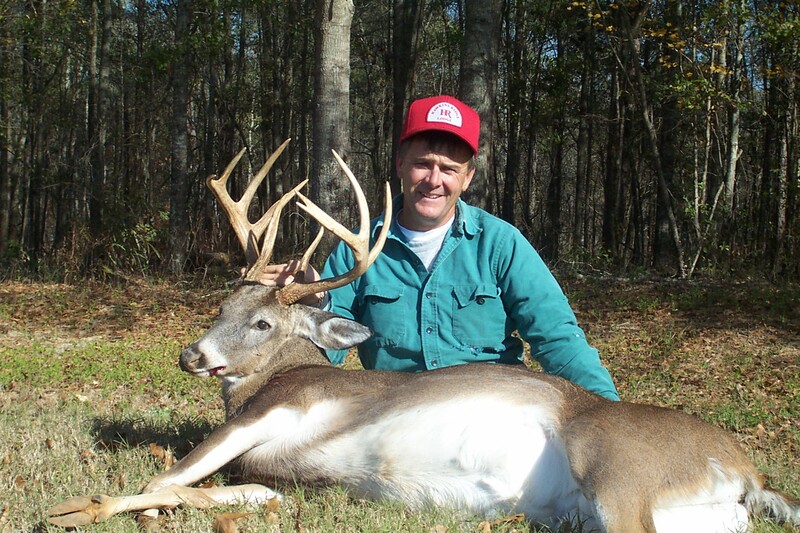 Our hunting guest are only allowed to take 8 point bucks or larger if the buck does not have 8 points it must have a minimum of 16 inch inside spread While hunting with us you can also take 2 does, bobcats, foxes, and coyotes. 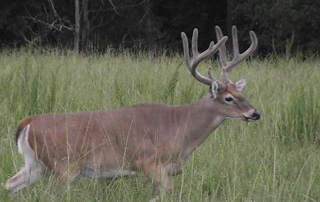 This allows young bucks to mature so that you will have an excellent chance to harvest a trophy animal. 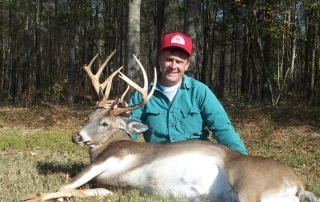 Our whitetail hunts are all free chase with no fences. 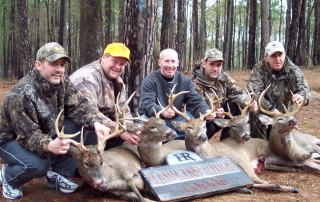 We have over 6,000 acres to hunt with over 150 stands. 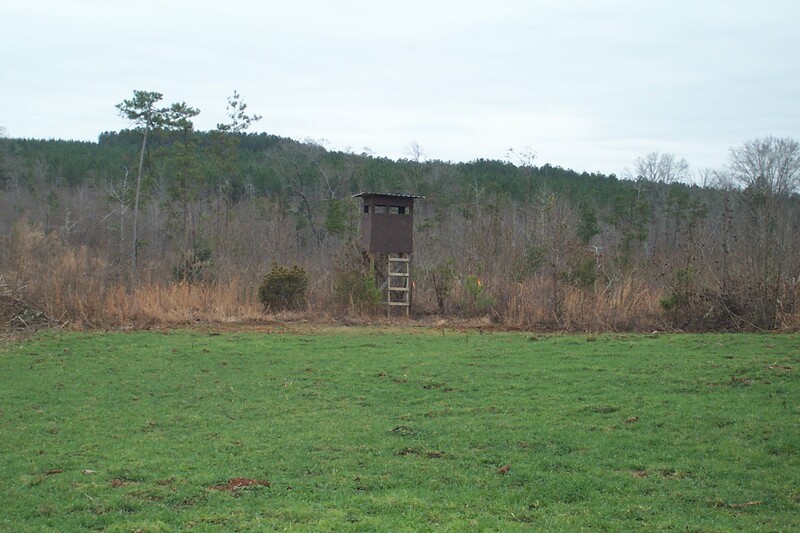 Our stands consist of enclosed boxes, tripods, and ladder stands. 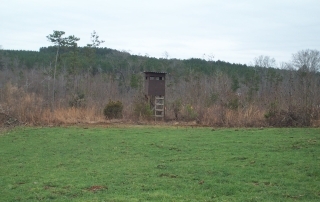 The stands are placed in hardwood bottoms, power lines, clear cuts, food plots and other areas used frequently by game. 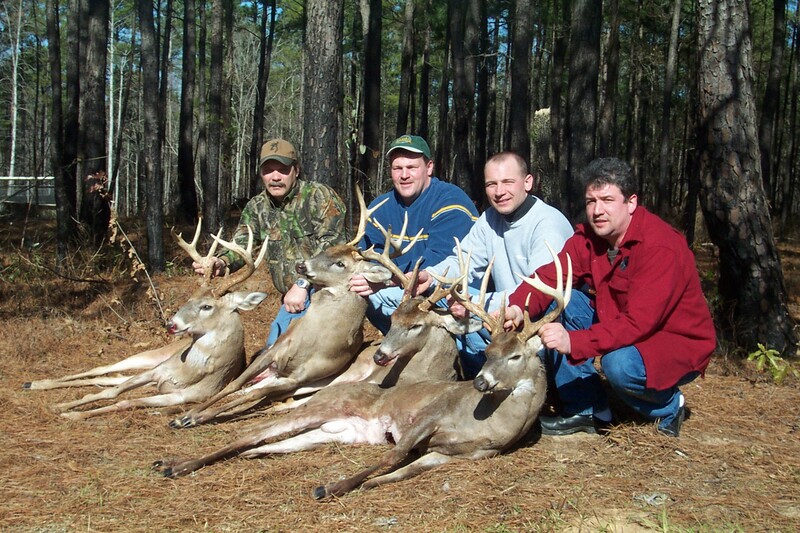 The average length of shot is about 100 yards. 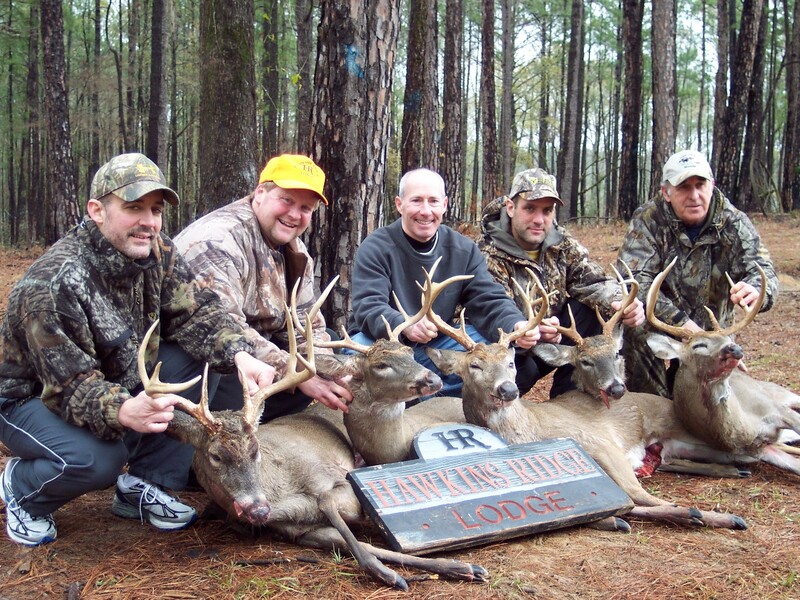 You will be placed in one of our stands before daylight and be picked up by our guides late morning. 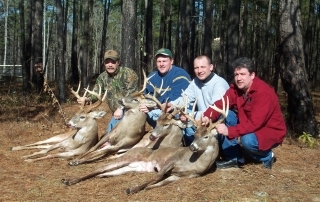 We then return after lunch to a different tract of land and different stand. 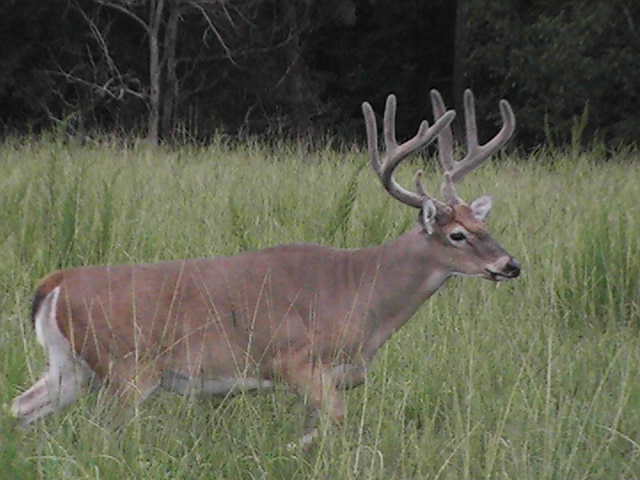 We constantly rotate the stands and land to prevent over hunting. 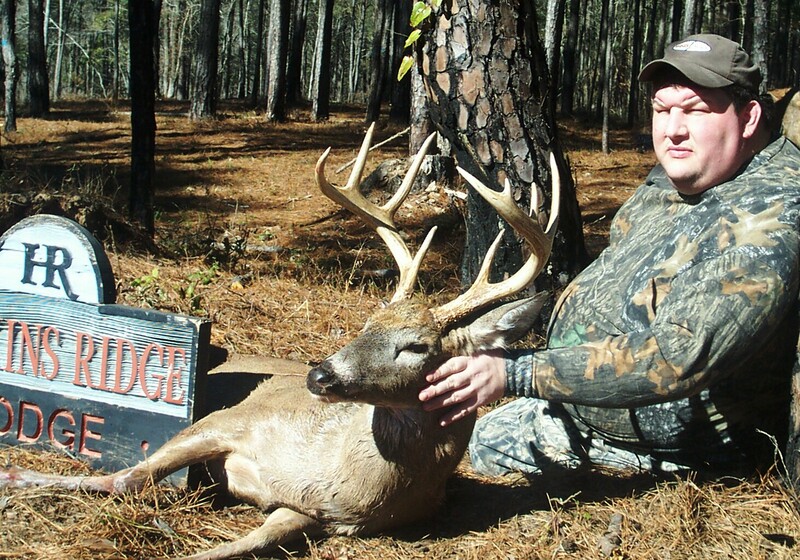 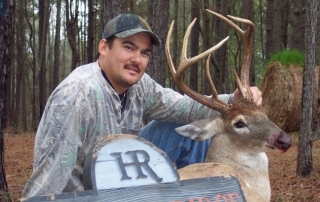 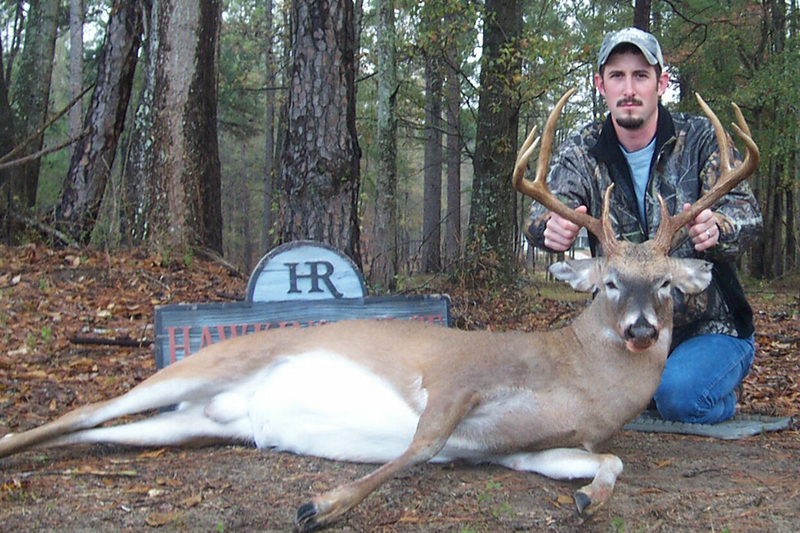 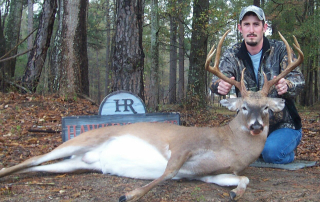 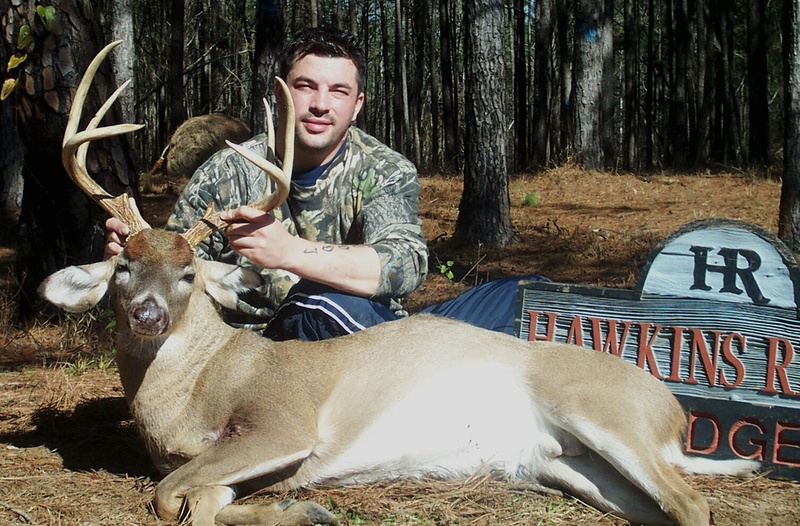 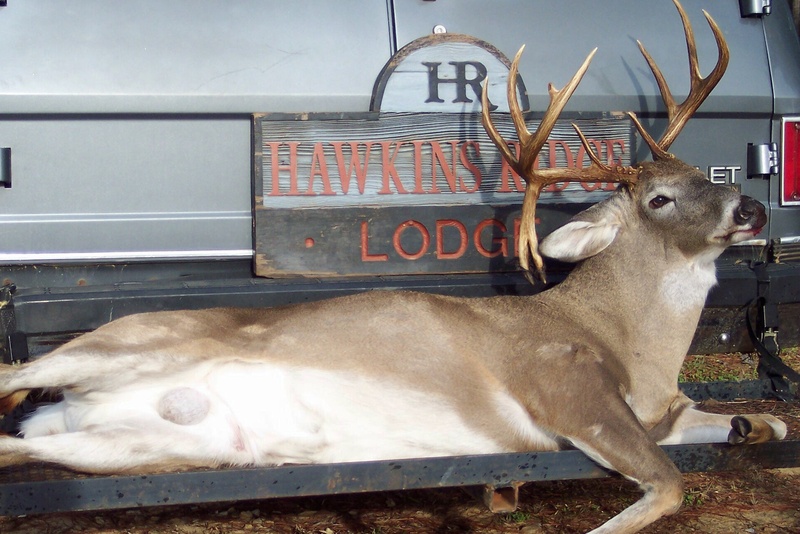 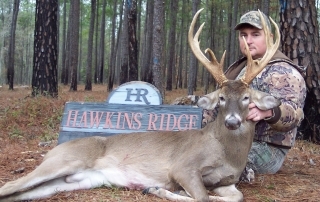 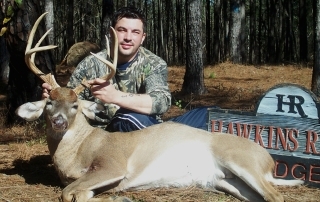 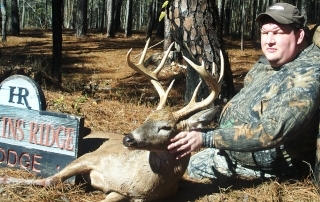 Hawkins Ridge Lodge strives to offer you an enjoyable and successful hunt. 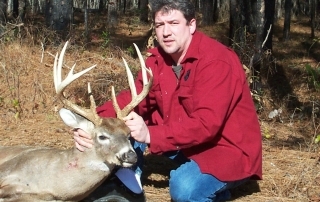 There are no hidden cost and no surprises all you will need is your personal gear and hunting license. 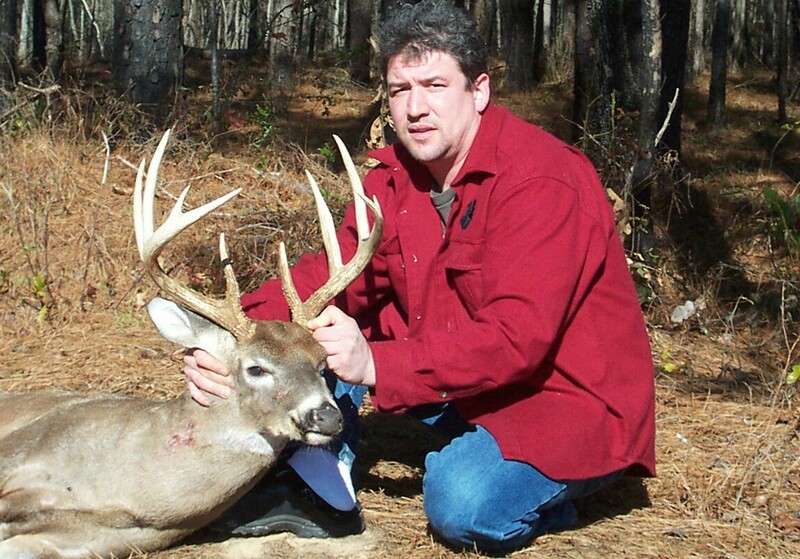 Your license can be conveniently purchased online or over the counter. 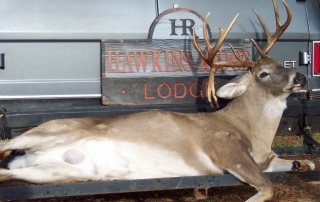 We provide lodging, maid service, meals, field transportation, and limited game processing. 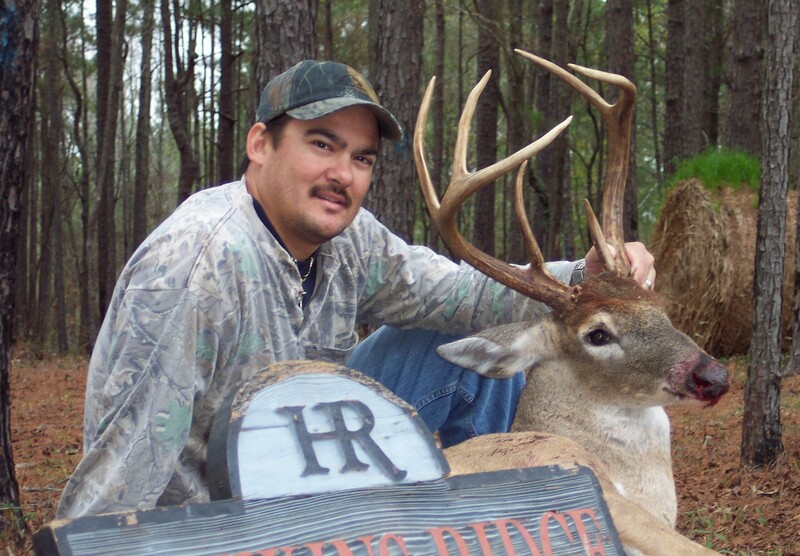 The hunt is customized from the most avid deer hunter to the novice hunter with success in mind.